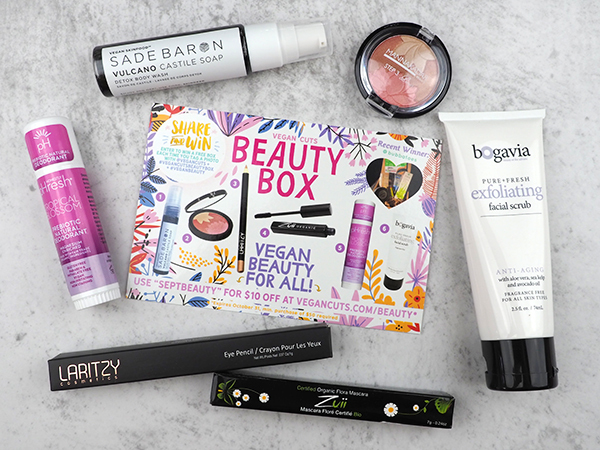 The September Vegan Cuts Vegan Beauty Box is a bouquet of beauty! It’s loaded with the best cruelty-free beauty items, including Sade Baron soap, Manna Kadar Cosmetics blush and highlighter, Laritzy Cosmetics eyeliner, Zuii Organic mascara, Honestly Phresh deodorant, and Bogavia facial scrub. 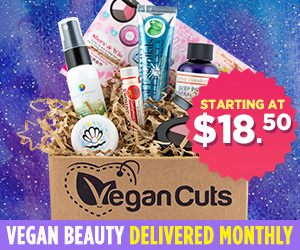 If you’re unfamiliar with the Vegan Cuts Vegan Beauty Box, let me introduce you. 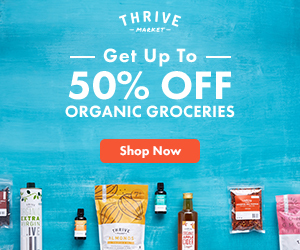 It’s a subscription box service that sends a box full of cruelty-free beauty products, such as skin and hair care products, cosmetics, nail polish, lip balm, and more right to your door each month. You never know what lotions and potions will be inside, making it a fun treat to receive each month. 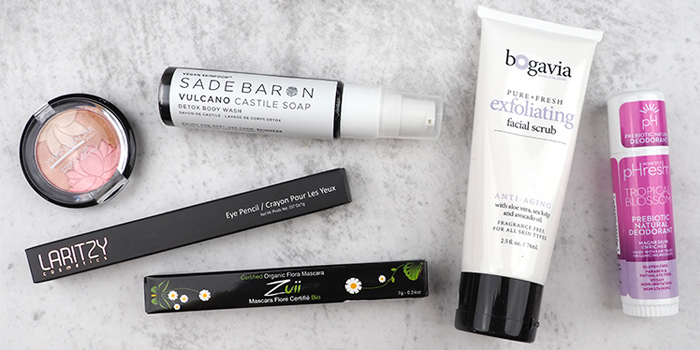 Subscribing to the Beauty Box is the easiest way to discover cruelty-free brands without spending a lot of money or committing to full-size product. Each box contains 4-7 new items to try, some are samples, and some full-sized products. 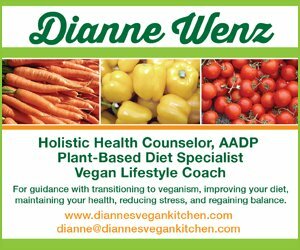 I’ve been receiving the Vegan Beauty Box for several years now, and I’m constantly amazed at the wide variety of products that each one contains. 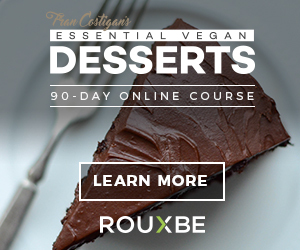 It’s difficult to improve on something that’s already pretty amazing, but I think the Vegan Beauty Boxes are getting better, too. I have a thing for black soap. I think it might have to do with my love of Annie Hall. This liquid soap is made with natural plant oils, activated charcoal, and essential oils, and it’s great for sensitive skin. Because of the activated charcoal, it removed impurities such as blemishes and blackheads, and it can provide relief from skin conditions such as eczema. It can be used on both the body and face, and it can even be used as bubble bath! The soap is a little waterier than I expected it to be, but it lathered up well. I left my skin feeling clean and refreshed. This sparkly gold eyeliner is perfect for creating dramatically bold looks. It glides on smoothly and stays put. 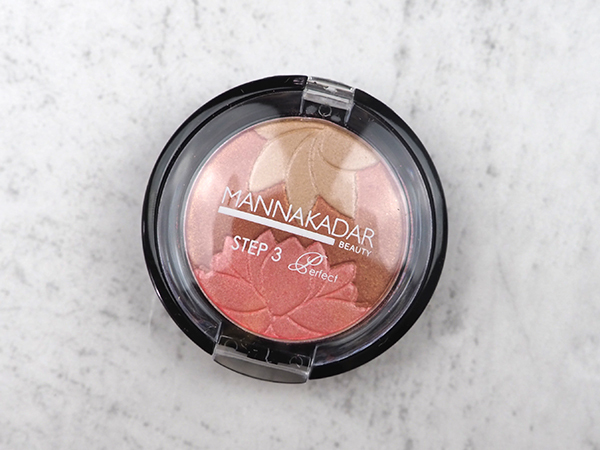 It’s made with natural waxes and oils and is paraben-free, because no one needs nasty chemicals next to their eyes. It’ll be terrific for wearing to holiday parties. I’ve been disappointed by natural mascaras in the past. They’re either too light or too runny or both. 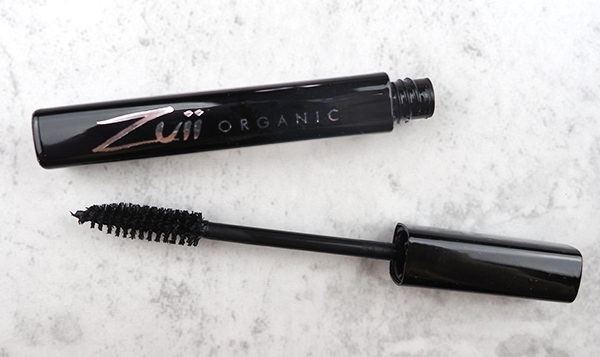 I was apprehensive about trying a new one, but I was pleasantly surprised by Zuii Organic’s mascara. 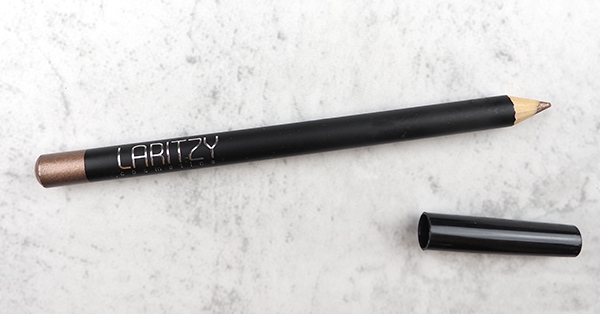 It lengthens my lashes while creating volume, and it doesn’t run or smudge. It comes off easily with soap and water, though! I’ve finally found a winner! Zuii Organic mascara is my new favorite! 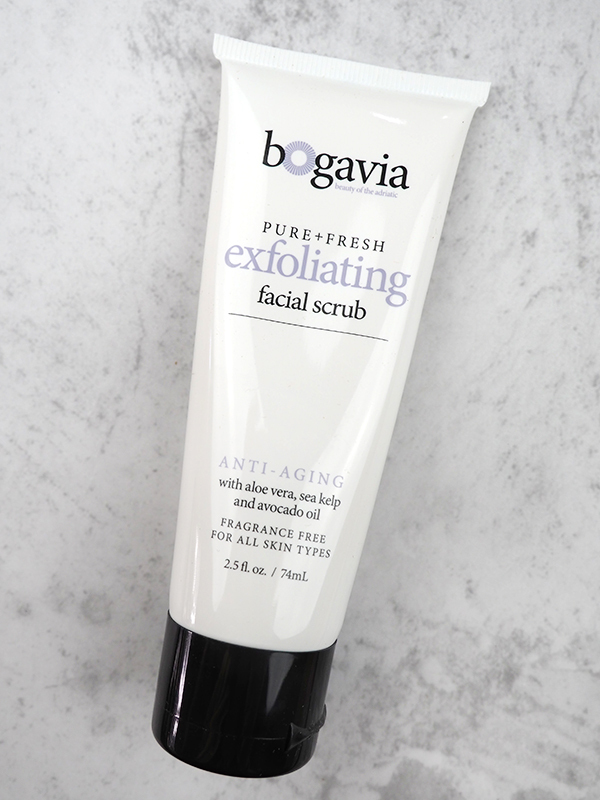 This antioxidant-rich facial scrub gently removes dead skin cells and increases cell turnover. Formulated with aloe vera, sea kelp, fennel, ginseng, and avocado oil, it softens and smooths while renewing skin. It’s fragrance-free—which I love, since I’m sensitive to some scents—and suitable for all skin types. 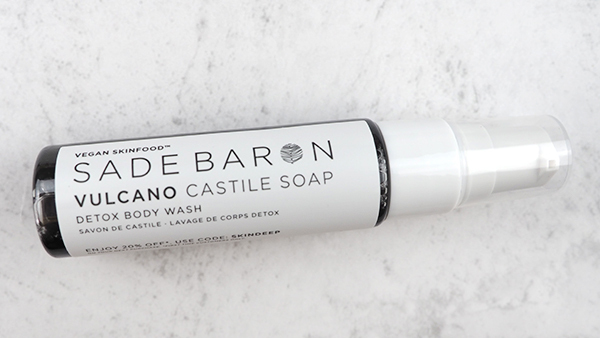 I’ve been washing with it a few times a week, and my skin feels squeaky clean after each use. I’m a sweater, so it’s difficult for me to find a good deodorant, especially in the hot summer months. Most natural deodorants are made with baking soda, which irritates my skin. 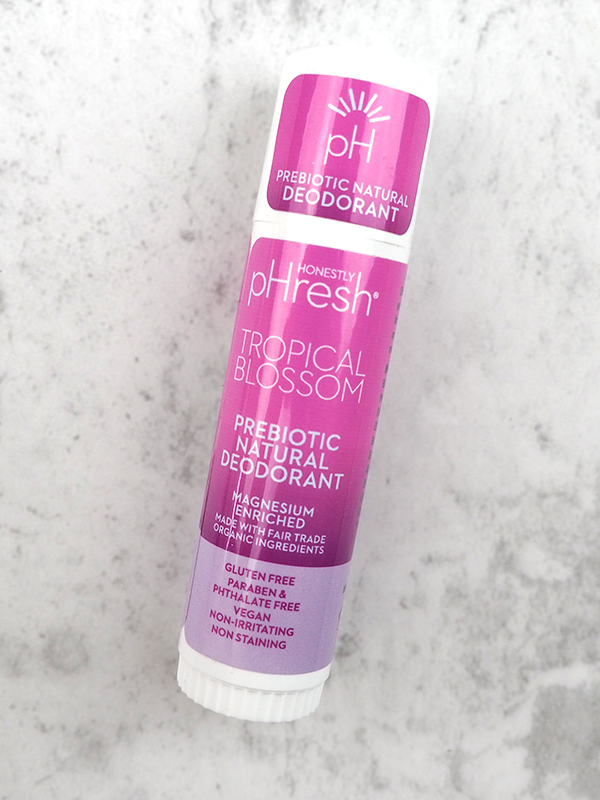 This natural prebiotic deodorant is non-irritating, and it’s made without aluminum, parbens, phthalates and baking soda. It’s formulated shea butter, cocoa butter, arrowroot, coconut oil, and other natural ingredients, and it has kept me feeling dry and stink-free for the past few days. I will admit that the Tropical Blossom scent did bother me a little, but I’m planning on trying their unscented version in the very near future. 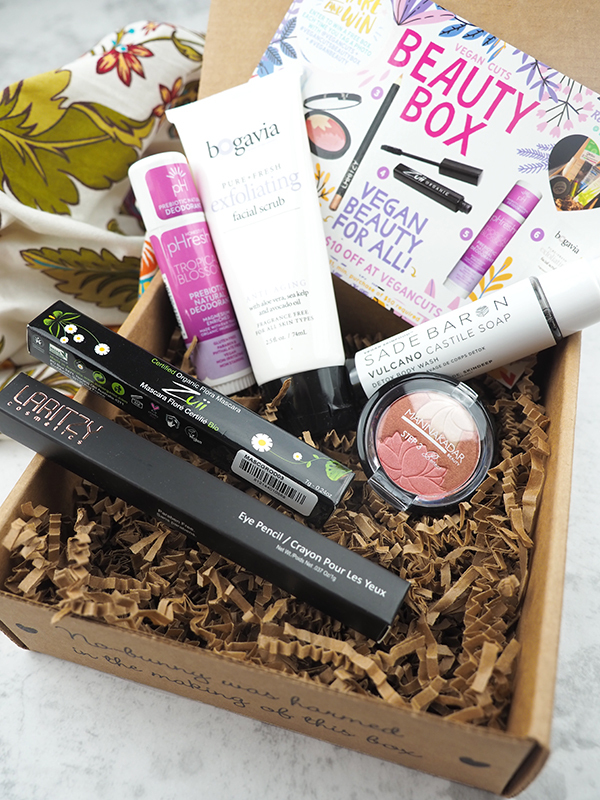 The Beauty Box is available as a monthly subscription, which means that a new box of products gets delivered to your door every month. Subscriptions start at $18.50 per month, and U.S. shipping is free.